The "Boot of Cortez" is an amazing gold nugget. 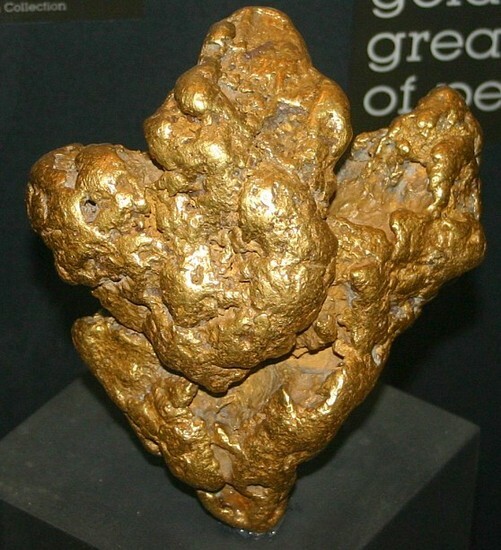 At 389 Troy Ounces it is the largest gold nugget in existence from the western hemisphere. The finding of the nugget is also a great story, as it was found in Mexico in 1989 by a local man who found it using a metal detector that he purchased at Radio Shack. It was purchased from him for $30,000 by his boss and then it changed hands a couple times and the last recorded public sale was in January 2008 where it sold at auction for $1,314,500. I had the privilege of holding it (that's me in the photo). It was quite an experience to hold such a huge natural gold nugget. What an amazing and gorgeous piece of gold! 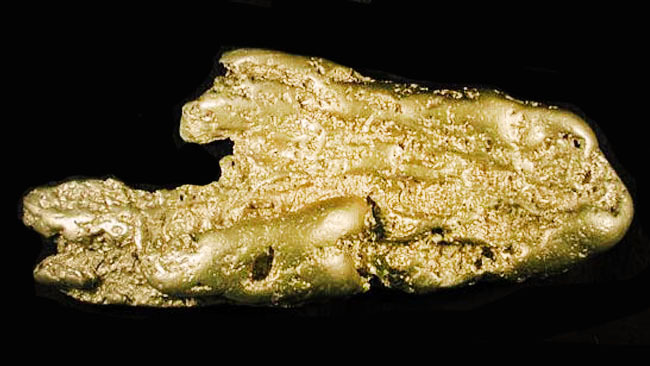 The Hand of Faith is an amazing gold nugget that was found in 1980 by Kevin Hillier near Kingower, Victoria, Australia. It Weighs 875 troy ounces (27.21 kg) or (72 troy pounds and 11 troy ounces), the gold nugget was only a foot below the surface, resting in a near vertical position. It was sold to the Golden Nugget Casino Chain for over a million dollars, and is now worth many times that amount. The Hand of Faith is currently on public display at the Golden Nugget, Biloxi, Mississippi. This gold specimen was incredible. 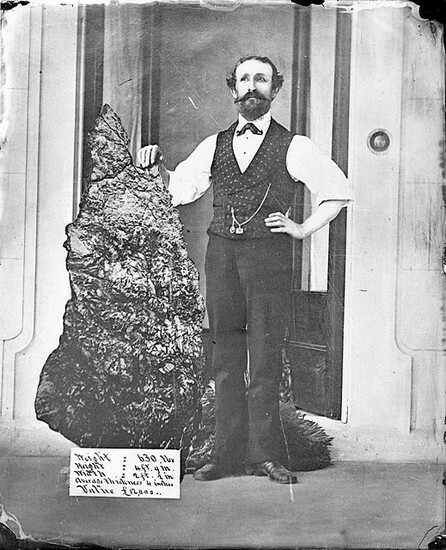 The "Beyers & Holtermann Specimen" was the worlds largest single mass of gold. It was 1.4 meters (57 inches) long and weighed 630 Pounds. 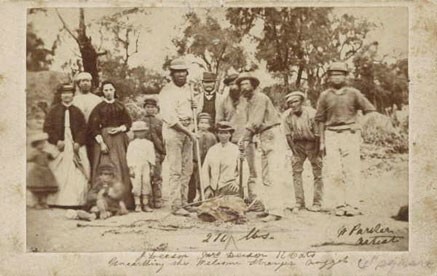 It was gold in matrix, so it was technically a "gold specimen" and not a "gold nugget". It contained an estimated 3,000 to 5,000 troy ounces of gold, depending on which source you consult. It was found in Australia on October 19, 1872, by the Star of Hope Gold Mining Company, of which Ludwig Beyers and Bernhardt Holtermann were partners, hence the name of the specimen. It was valued at the time at 12,000 British Pounds (currently worth about $18,000.) Holtermann attempted to buy the specimen from the company but he was turned down and the specimen was broken up and crushed and smelted to extract it's gold content.